Training is an important part of any business's continual development. This ensures it has the latest skills within the workforce and is on top of current trends and topics in the industry. Training can be considered as being consumed either through going to a training event, a conference or a seminar. These might take place in the UK or abroad. The cost of training for proprietors or employees will normally be deductible against business profits and input VAT will be recoverable. However, as ever there are a few things to remember which we will discuss below. We will consider the advice we give to pertain to directors and employees, and will cover any aspects relating to the self-employed at the end. When a company provides training or reimburses the cost, the input VAT will be recoverable and costs treated as a normal tax deductible business expense. No benefit in kind will arise on an employee if the training is designed to instil, improve or reinforce any knowledge, skill or personal quality that helps them perform their duties more effectively. This applies whether training, conference and seminar takes place in the UK or overseas. Any expenses incurred relating to the training (paid for directly or reimbursed) will normally be covered as above, both for VAT and corporation tax. Note - That for employees, if any training costs are not reimbursed by the Employer, the cost will not normally be allowed by the taxman as a deduction against their employment earnings. You then need to argue that this training is essential for you to perform your duties. As ever consult an accountant on the best way to argue your case. For self-employed people, the cost of training for the proprietor will be deductible if incurred wholly and exclusively for the purpose of the business. If in doubt ask your accountant whether the training might be allowed or not. Training Abroad - Our 3 Favourite Tax Tips! Sometimes it may be beneficial for the director or employee's spouse or parter to accompany them on an overseas business event. If the employer pays for or reimburses the cost, then this is a tax deductible expense. But a benefit in kind will have been created for the director or employee. The spouse or partner has a special qualification or skill (i.e. an interpreter) associated with the trip that will be required for the director or employee to carry out their duty. This does need to be a full-time requirement. The presence of the spouse or partner is essential to say hosting a series of events the director or employee must do whilst attending this conference or seminar. The health of the director or employee requires the presence of their spouse or partner, as travelling alone would be unreasonable. By extension, any costs of travel to a far flung part of the UK would also be covered by similar rules and yardsticks in determining whether this expense was tax deductible, and the benefit-in-kind reduced. For self-employed people, the costs will be deductible if the considerations noted above are followed. 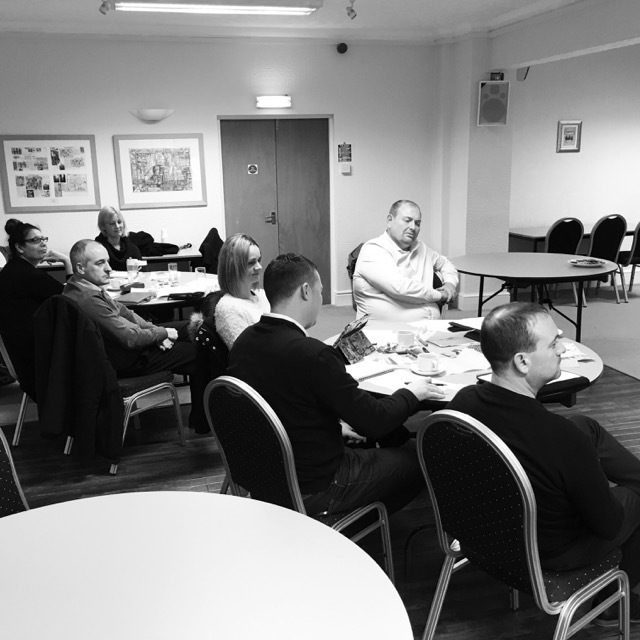 Training is an important business activity which all businesses should regularly undertake to improve the skills, knowledge and personal qualities of the directors or employees who work for them. Some people view going to a course, a conference or a seminar (especially abroad) as being a poor use of time that somehow feels frivolous and unnecessary. The Taxman supports UK Businesses and their employees improving their skills. If you follow their rules and guidelines, any expenses will be tax deductible and the VAT incurred reimbursed. So don't delay, get training today. If you know of any other great tax tips relating to training, conferences or seminars that can be shared with our readers then let us know via the comments or through LinkedIn.